Starting this year, I’m going to begin recommending two new inspection services in addition to standard home inspections; sewer scans and level 2 chimney inspections. I’ve always been quick to recommend these services in the past, but based on the input from all of the inspectors in my company, these are services that we should be recommending our clients consider having done, regardless of our inspection findings. For the record, neither of these are services that my company offers. A sewer scan is done by a company that specializes in this service. A technician accesses the main sewer cleanout hole in the basement and feeds a fiber-optic camera through the sewer line that runs from the house to the city sewer at the street. This sewer line belongs to the property owner, and any problems with this sewer line are the financial responsibility of the owner. If there are problems with the sewer line that routine sewer cleaning won’t solve, the repairs will be expensive. In my experience, most sewer scans on old house reveal tree roots finding their way into the sewer lines and slowing things down, but no major problems. It’s the situations where major problems occur that make it worth having a sewer scan done. Sewer scans typically cost less than $200, and are usually scheduled at the same time as the home inspection. Unfortunately, no age of home is immune to sewer problems. While it’s unlikely, even new homes can have problems with the main building drain. As you might imagine, the potential for problems increases with the age of the home. If you’re buying a new home, you probably don’t need to spend your money on a sewer scan. If you’re buying a century-old home, it’s probably smart to have a sewer scan done. There is no clear dividing line between homes that should and shouldn’t have a sewer scan performed. The decision will ultimately come down to the new home buyer’s tolerance for risk. Post update 6/3/16: We now offer sewer scans. 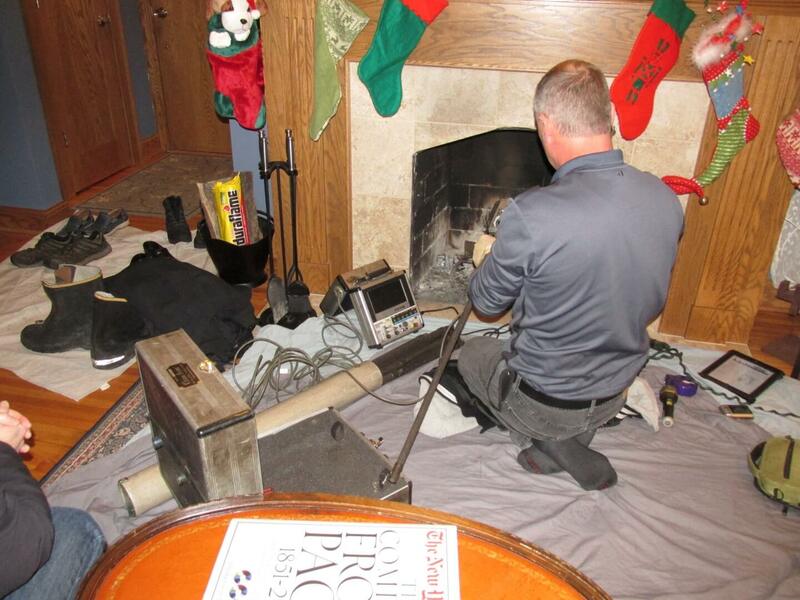 A Level 2 chimney inspection is basically the same thing as a sewer scan, but for the chimney. This type of inspection is recommended by NFPA 211 any time there is a sale or transfer of a property. Unlike sewer inspections, a fair number of chimney inspections end up revealing potentially costly defects. This is an inspection that is recommended for all solid fuel burning appliances, which typically means a wood-burning fireplace. The person conducting this inspection should be a professional who is certified by the Chimney Safety Institute of America (CSIA). The specific title that CSIA gives to trained chimney experts is “Certified Chimney Sweep”. I specify this language because there are plenty of hacks out there that throw their untrained, unqualified opinion around as gospel. For more information about hiring a CSIA Certified Chimney Sweep, click here: http://www.csia.org/homeowner-resources/how_to_hire_a_chimney_sweep.aspx . Post update 9/6/16: We now offer sewer scans.